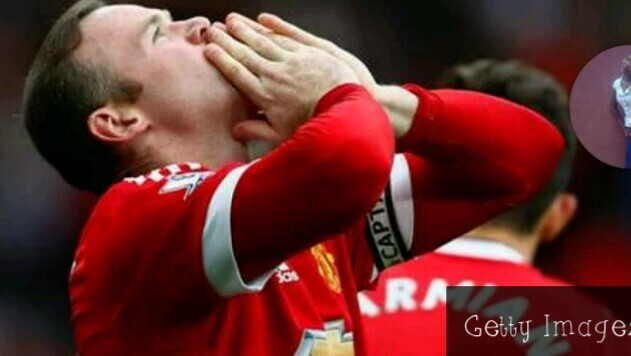 Wayne Rooney is keen to add a first Emirates FA Cup triumph to his long list of accolades, after playing a pivotal role in Manchester United's 2-1 semi-final victory over Everton on Saturday. The Reds skipper took up a deeper midfield role against his former club and put in an assured performance, as Marouane Fellaini's strike and a last-gasp winner from Anthony Martial ensured United's place in a 19th final in the competition. The tournament is the one trophy Rooney has yet to win, but the 30-year-old says May's showpiece final - which will see Louis van Gaal's side take on either Watford or Crystal Palace - represents a fantastic opportunity to change that. "I’ve played in two FA Cup finals and both have ended up in defeat," he said. "It’s a cup I haven’t been lucky enough to win yet, so it’s a good chance for us. Whoever we play in the final, I’m sure it’ll be a tough game for us. I think the fans deserve it - they’ve got to come to Wembley for a cup final, and we have to give them a good performance. "I think it’s a great opportunity for us. There are a lot of young and new players in the dressing room for us so it could be a big day for us in the final and the start of something special for us, I hope." The dramatic win at Wembley was a frenetic affair with chances galore at either end, but Rooney says playing in a midfield role helped the team cope with a Toffees side that piled on the pressure in the second half. "I think you’re obviously more involved in the game, you have a bigger influence from that position," he continued. "I’ve tried to play what I’ve seen and I think it worked, with me and Michael [Carrick] having a bit more experience in there. We helped calm the game down when we needed to, especially after the equaliser, so I enjoyed it. "I think the amount of games I’ve played - I know I’m still 30 - I try to help them and try and enjoy my football, which I’m doing."